Established in 2012, Suerte Tequila was created by co-founders Laurence Spiewak and Lance Sokol, along with Master Distiller Pedro Hernandez Barba of Tequilera Simbolo. Based in the highlands of Jalisco, the family-run distillery and agave plantation employs traditional methods to produce their high quality spirits. To preserve the flavor and color of the spirit, the Master Distiller opts for micron filtering, rather than charcoal filtering, and relies mostly on gravity, not pumps and motors, to move the tequila from the holding tanks, through filtration to the bottling line. 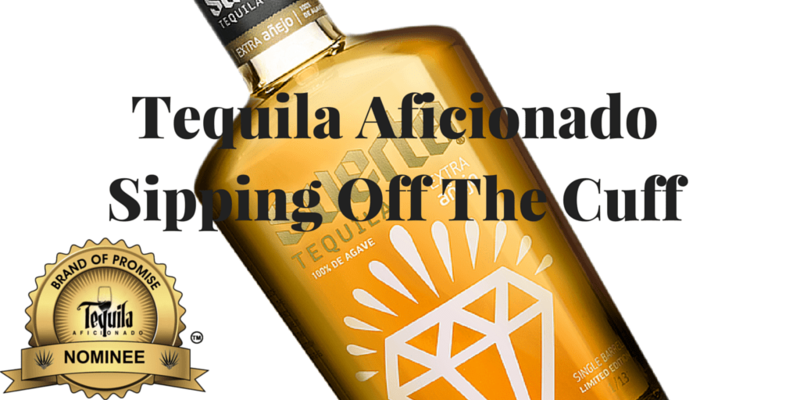 Suerte Tequila Extra Anejo is a limited edition, single barrel, five year old 100% Extra Anejo Tequila. Each bottle represents an individual cask selection and is labeled with a unique batch number. Silky golden in color, when poured, aromas of baked pear, fruit pastry, honey and pepper emerge from the glass. Rich, complex flavors of caramel, nougat, and toffee lead to a slightly sweet, buttery finish.